Watching movies online for free is a great way to enjoy our free time taking advantage of what the internet offers. There are many web sites that offer these services but they have dubious origin and can be dangerous to the security of your computer or your mobile. 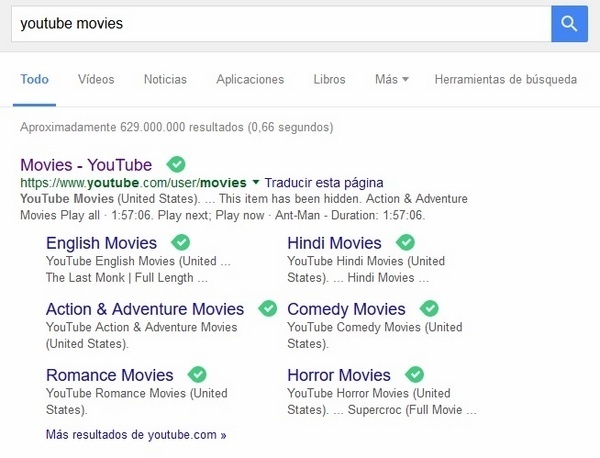 Enter to your default search engine and write YouTube Movies, the following will appear. 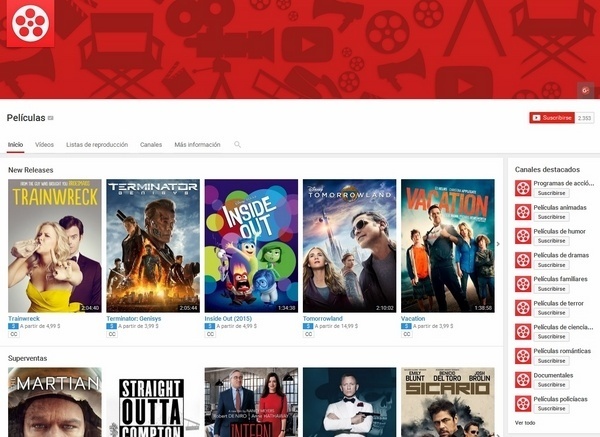 You'll see different categories to choose from or you can simply access the YouTube Movies channel. 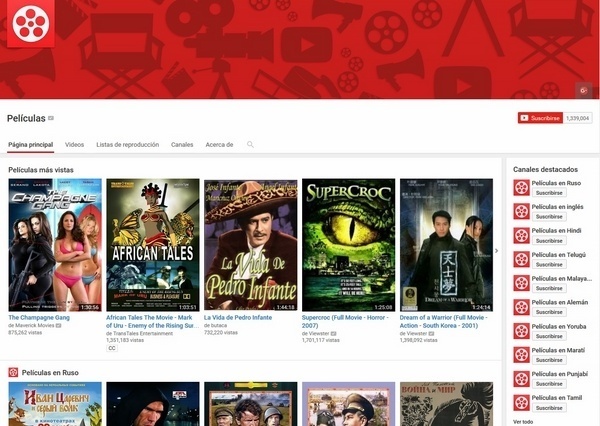 Here you'll find a wide variety of classic movies that you can watch for free on YouTube's platform. This type of search may vary according to your location, because in some countries the channel is restricted. 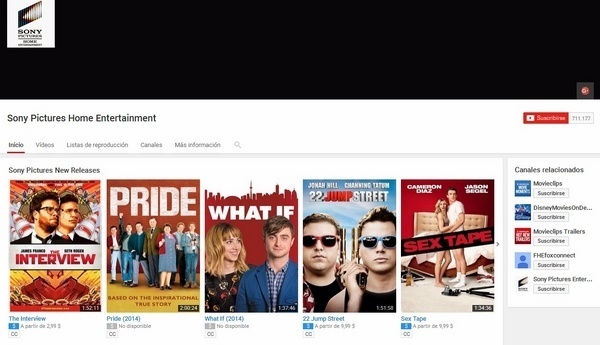 In others countries both free and paid movies are available. 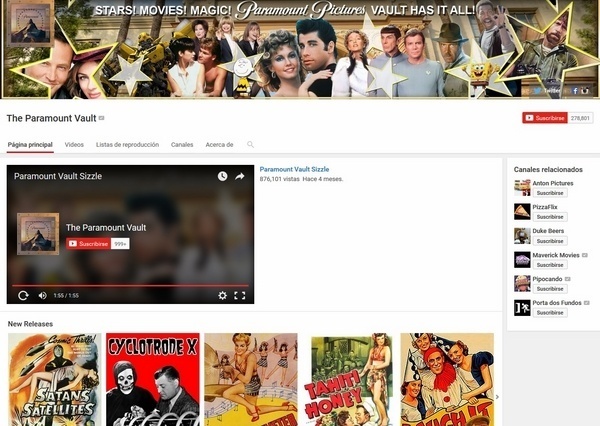 The Paramount Vault is a producer of American cinema, which brings us a channel full of films that can be seen for free. It's evident that there aren't recent films but you can find the most fabulous classic movies and more. This channel availability depends on your location because not all countries are available to view the content of the channel. Universal Movies bring us their movies channel. 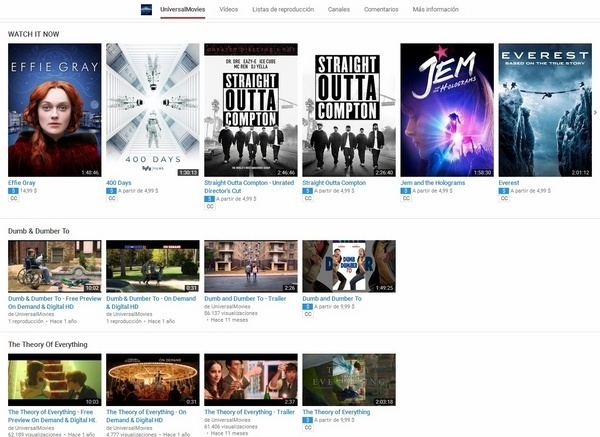 You will find many movies in premiere so you should buy or rent on Youtube. Sony Pictures also brings us their movie channel with several recent releases. All movies here can be rented or purchased in order to view them. Availability of the channel and movies depends on your location.